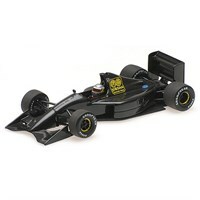 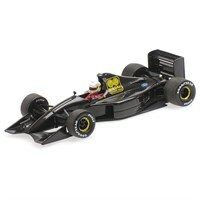 Minichamps 1:18 diecast model of the #32 Jordan 191 as driven by Alessandro Zanardi in the 1991 Japanese Grand Prix. 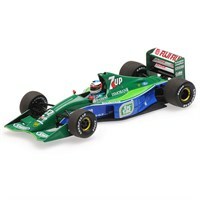 Minichamps 1:18 diecast model of the #33 Jordan 191 as driven by Andrea De Cesaris in the 1991 Canadian Grand Prix. 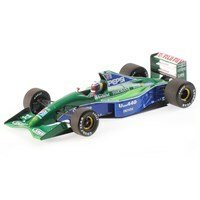 Minichamps 1:18 diecast model of the #32 Jordan 191 as driven by Bertrand Gachot in the 1991 British Grand Prix. Minichamps 1:43 diecast model of the #32 Jordan 191 as driven by Alessandro Zanardi in the 1991 Japanese Grand Prix. 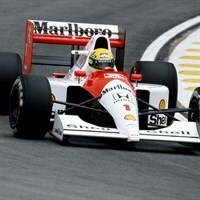 Minichamps 1:43 diecast model of the #32 Jordan 191 as driven by Roberto Moreno in the 1991 Portuguese Grand Prix. 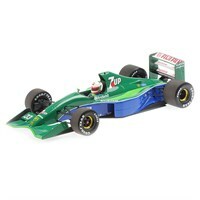 Minichamps 1:43 diecast model of the Jordan 191 as driven by Bertrand Gachot in the 1991 Paul Ricard test. 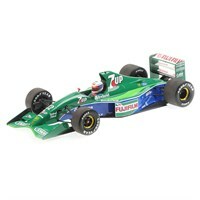 Minichamps 1:43 diecast model of the #33 Jordan 191 as driven by Andrea De Cesaris in the 1991 Canadian Grand Prix. Minichamps 1:43 diecast model of the #32 Jordan 191 as driven by Bertrand Gachot in the 1991 British Grand Prix. Minichamps 1:18 diecast model of the Jordan 191 as driven by Bertrand Gachot in the 1991 Paul Ricard Test.